EghtesadOnline: Iran’s trade with China amounted to $19.66 billion during the first half of 2018, registering an increase of 2.2% compared with last year’s corresponding period, Chinese ambassador to Iran said. Pang Sen added that China’s exports to Iran stood at $8.40 billion during the six months, down 4.8% year-on-year, while Iran’s exports to China witnessed a 22.7% growth to reach $11.26 billion, IRNA reported. 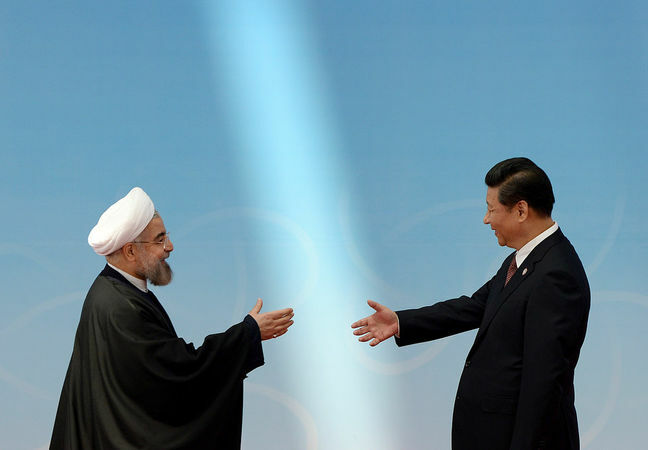 China has long been Iran’s biggest trading partner, Financial Tribune reported. Bilateral trade grew to $37.2 billion in 2017, a 19% increase over 2016, according to Chinese customs data. Latest statistics provided by the Customs Administration of Iran show Iran traded 10,231 tons of non-oil commodities worth $6.93 billion with China during the first four months of the current Iranian year (March 21-July 22), registering an 11.61% decrease in tonnage and 9.57% increase in value compared with last year’s corresponding period. Iran’s exports to China stood at 9.04 million tons worth $3.04 billion, down 12.07% in tonnage and up 7.73% in value year-on-year. China was Iran’s biggest export destination during the period. Iran mainly exported ethylene glycol, liquefied propane and methanol to China during the four-month period. China exported 1.19 million tons of goods worth $3.89 billion to Iran, down 7.93% in tonnage and up 11.05% in value respectively YOY. China was the major exporter of goods to Iran over the four months. The imports mainly included auto parts, casting machinery and computer networking devices. China, which is Iran’s top oil customer, buys roughly 650,000 barrels a day from Tehran, or 7% of China’s total oil imports. At current market rates, the imports are worth $15 billion a year. China imported 39 million tons of crude oil in May, according to the General Administration of Customs, and the total crude oil China imported from January to May this year increased by 8.2% compared with the same period of last year. State energy firms CNPC and Sinopec have invested billions of dollars in key Iranian oilfields such as Yadavaran and North Azadegan, and have been extracting and sending oil to China. After France’s Total officially left Iran after the United States threatened to reimpose sanctions on companies that do business in the country, Iranian officials have suggested China’s state-owned CNPC could take over Total’s stake in the South Pars gas project. Iran’s President Hassan Rouhani visited China in June for the annual Shanghai Cooperation Organization summit in the Chinese coastal city of Qingdao in Shandong Province. Iran is an observer member of SCO. According to Iran’s Ambassador to China Ali Asghar Khaji, China was the first destination of Iran’s Foreign Minister Mohammad Javad Zarif after the US pullout from Iran’s nuclear deal, showing that Iran expects China to play a “major and constructive” role in saving JCPOA. “China and Iran are enjoying good relations in the political, economic, industrial, investment and energy sectors, and bilateral ties are expected to step forward after the meeting between Chinese President Xi Jinping and Iranian President Hassan Rouhani,” he told Global Times in an interview. Khaji said Iran is interested in further enhancing its bilateral relations with China, stressing that there is no international factor to restrict or stop the two sides from developing their ties. During President Rouhani’s visit to China, the two countries signed several agreements to boost trade and financial ties, including an agreement to use their respective currencies in bilateral trade. One of the agreements had been reached between his ministry and China Infrastructure Development Organization to use the two countries’ financial resources for investment and bilateral trade. As per the agreement, the two country’s trade ties have been devised within the framework of the Belt and Road initiative, which specifies the share of each country in the plan. The initiative promotes a vision of expanding links among Asia, Africa and Europe to revive the ancient Silk Road underpinned by billions of dollars in infrastructure investment. China’s Finance Minister Xiao Jie has underscored Iran’s strategic role in China’s New Silk Road plan, noting that Iran is vital for fulfilling this vision. Another document on the expansion of bilateral scientific and technical cooperation was signed in the presence of the two countries’ leaders. Two other bilateral agreements pertained to stock exchange cooperation and fighting illegal drugs and organized crime. China’s adeptness at doing business with Iran through state-owned companies not exposed to the American financial systems is expected by some to make Beijing the biggest beneficiary of Trump’s move to withdraw from JCPOA. “The dynamics of the US withdrawing from the [nuclear] deal and leaving European sides scrambling to protect their business interests has led to Iran reaching out to China and encouraging it to commit to investing,” said Ahmad Majidyar, an Iran analyst with the Washington-based Middle East Institute, the Washington Times wrote in an article. China has defended its commercial relations with Iran as open and transparent. Chinese Foreign Ministry said last month that China’s business and energy ties with Iran do not harm the interests of any other country after US President Donald Trump said companies doing business with Iran would be barred from the United States. In a statement, China’s Foreign Ministry reiterated its opposition to unilateral sanctions and “long-armed jurisdiction”. “For a long time, China and Iran have had open, transparent and normal commercial cooperation in the fields of business, trade and energy, which is reasonable, fair and lawful,” it was quoted by Reuters as saying. Using sanctions at the slightest pretext to threaten anyone won’t resolve the problem, it said. “Only dialogue and negotiations are the true path to resolving the issue,” the ministry added, referring to recent tensions escalating between Iran and the United States. Hua Liming, former Chinese ambassador to Iran, has told Global Times that Chinese firms can bypass the blockade by expanding renminbi payments, a trend in staple products that was already occurring in China-Iran trade before the sanctions.